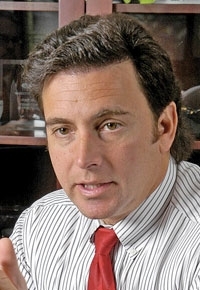 Ford Motor Co. dealers in Buffalo, N.Y., say Mark Fields blessed the dealership consolidation program in 2006 soon after becoming president of the Americas. Fields spoke with Editor Jason Stein. Buffalo dealers said they had tried to persuade Ford for years to let them consolidate but were always told no. Why the change of heart? When I first came back, I asked, "Who is your biggest competition?" A lot of times I would get, "Well, it's the Ford dealer down the road." That was a little bit of an aha. How do you rate the outcome? Is Buffalo the best example you have of consolidation working? Facts don't lie. It really proved to us that spending time, energy and resources -- both manpower and financial -- on this made good business sense. We ended up with more profitable dealers. And our customer satisfaction went up. Are there other Buffalos out there? We've been making progress in lots of multiple-point markets, realizing that it's a very emotional issue for a lot of dealers, particularly if you're a multigenerational dealer. There are a lot of heartstrings that pull on that. How difficult do those emotional aspects make the process for you? It is extremely important that we recognize that it is a very emotional decision for a lot of dealers. They're all human stories. Our dealers are not just dealer code numbers to us. They're our business partners and they're our friends, and they are folks that a number of us have put into business.